We recently had the opportunity to review two nature unit studies form Creation Illustrated. As a finish for the winter season, we reviewed the Pine Trees Unit Study and Snow Unit Study. 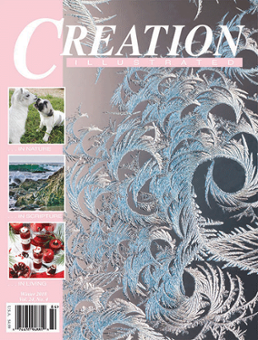 Creation Illustrated publications are a quarterly periodical style magazine that works to share the truth of God's glory through science and nature. Each issue is packed full of character building reading and a break from the everyday stresses of life. Beautiful illustrations are on every page, along with articles on nature, how to take care of yourself and help others. All articles are presented from a Christian view, and scriptural citations are included. New to go along with each Creation Illustrated issue will be carefully laid out unit studies. For the Winter '18 issue, we were able to review The Intricacies of Snow Unit Study. It was written for Grades 3 - 8, which is a great age range for our house. The PDF is $6.95 and was very easy to download and get started. The Intricacies of Snow Creation Unit Study is a full subject study. It includes lessons that center around all subjects including penmanship, writing, Bible study, vocabulary/spelling, math, geography and even art. Included also are fun puzzles for your kids to also enjoy what they are studying. 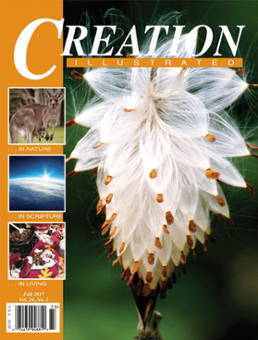 As a family or on their own, students can read the latest issue of Creation Illustrated (or download the specific article from the beginning resources of their unit study), and using their downloaded unit study can expand their studies . 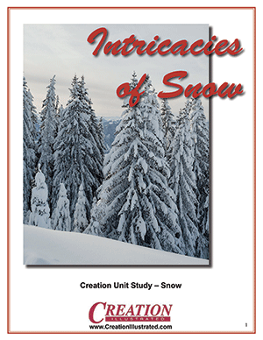 The Intricacies of Snow - Creation Unit Study introduces your student to the science of snow. The study includes suggestions for literature writing, has a listing of vocabulary words from the article, fun math, geography and art. The science of how snow occurs is looked at also. At the beginning of your unit study also included are several video links about snowflakes and their creation, and even includes informational links on Snowflake Bentley. The Intricacies of Snow - Creation Unit Study is roughly a week-long study at minimum. But depending on what aspects of the Unit study you use, it could easily be stretched out over a few weeks. We actually were able to finish this unit study over a two week period. We did not focus on it daily, just did little sections as part of our daily group studies. I had to make adjustments for Caty, since she is on the younger end and most of the vocabulary and spelling was a little over her head. We just included the vocabulary as part of our discussions. This made her feel not as overwhelmed. That is a definite benefit of using the Snow Unit study, easily adjustable to multi-level teaching and group lessons. The answer key and a book list are also included. This helps make the Snow Unit Study very easy to use and very little preparation other than printing and ordering the books from the library. 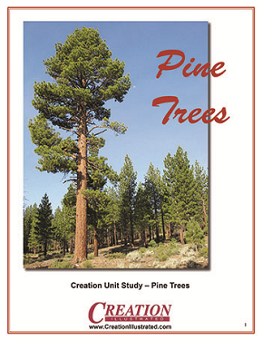 We also had the opportunity to review Pine Trees - Creation Unit Study ($6.95). 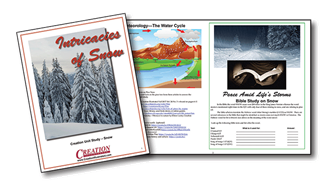 The Pine Trees - Creation Unit Study ($6.95) is based on an article from the Fall '17 Creation Illustrated publication. The format of Pine Trees - Creation Unit study is similar to the Snow Unit Study that we mentioned above. 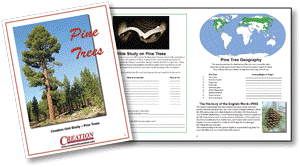 Pine Trees - Creation Study covers all subjects including math, science, art, literature, geography, and Bible Study. Included also is a full list of suggested reading and also video links. It being winter, we also completed the Pine Tree Unit Study along with our talk about the types of trees that do not lose their "leaves", coniferous. The Bible verses included with the study are meant to draw out kids and show them how the elements they see all around the world today were part of historical figures in the Bible. Each study unit contains printable worksheets. You can choose to print them in black and white or color, it's your choice. You also can pick and choose what materials you want to print. Some pages I had the older kids complete, but not Caty. Other pages we discussed together as a group. It really depended on the material and the kids attention span. I found these unit studies to be VERY flexible and I was able to adjust them according to our kids needs and their interests. With this flexibility, I didn't hear as much complaining about completing work!! That is always a bonus....kids WANTING to do their schoolwork and having school discussion times. I will definitely be looking into more Creation Unit studies from Creation Illustrated. I love the format of the magazine and the attitude that it is encouraging. The reminders of why we are here and how we are here, line up with our beliefs and exactly what I want to teach our children. As I am looking for short, fun studies I will definitely be including these in our studies. The length is perfect and the fact all the work is done for me is wonderful!! The price is also perfect for any budget. What a great hidden resource!! Several members of the Homeschool Review Crew were given the opportunity to review Creation Illustrated Unit Studies. Click on the link below to see how they used these in their homes and how their students responded to the materials they were using.